Egypt is holding a three-day national referendum starting Saturday on proposed changes to the country's constitution that would allow President Abdel-Fattah al-Sissi to remain in power until 2030. The vote was announced after the parliament on Tuesday approved the amendments. Cairo, Apr.19.– Egyptian expatriates on Friday started voting in a referendum on proposed constitutional changes that would extend incumbent president Abdel Fattah al-Sisi’s term until 2030, Anadolu reports. The voting process began first in New Zealand as the Egyptian Embassy in Wellington opened its doors for voters, state-run MENA News Agency reported, citing a Foreign Ministry statement. 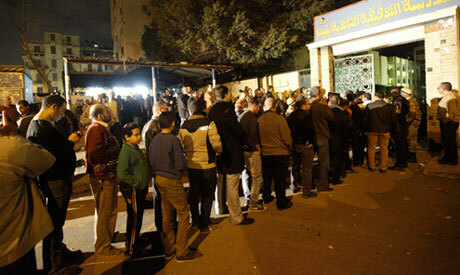 Some140 poll centres at embassies and consulates in 124 countries are conducting the voting process from 9:00 a.m. to 9:00 p.m. local time, Foreign Ministry said on Thursday, without elaborating on the number of Egyptians eligible to vote abroad. However, voting will not be conducted in Yemen, Libya, Syria and Somalia due to security concerns, according to Egypt’s National Elections Authority.